The share market can offer smart investors great financial rewards despite market risks. Learn how to get started on shares investing. Investing in shares can be an overwhelming experience for those who are unprepared. It can open up great risks to investors without the right tools and knowledge about the environment. However, even beginners can reap the rewards of well-placed investments in publicly listed companies with a smart investment strategy. Here’s a practical guide to investing in the share market for beginners. What is this alien share market language? The first thing a potential investor needs to do is to must understand some basic share market terminologies to avoid making mistakes. There is an existing list of definitions in another article, but here are some of common terms investors encounter. Dividend: this refers to the money that companies regularly pay out to its shareholders. Dividends are calculated from the company’s profits, and are usually paid out quarterly or semi-annually, but issuers have the right to dictate or change the schedule. Companies are not required to pay dividends, so some investors may encounter non-dividend paying shares—and they can’t complain. The best way to identify a dividend-paying share is to read the company issued prospectus. Execute: When the market participant, whether financial adviser or broker, performs an order. The order doesn’t actually get traded unless a broker to executes it. IPO: Initial Public Offering (IPO) is when companies issue and offer shares in the market for the first time. Investment banks and other big players get first claim on IPOs in the primary market before it trickles down as retail-sized investments in the secondary market. Order: An order is when an investor expresses interest in buying or selling shares. This is when they tell their broker or financial adviser what shares to buy or sell. Participant: Only market participants are allowed to trade in the share market, and these are limited to the listed companies, investment banks and stock brokers. Even online trading accounts are facilitated by brokers who do the actual trading for shareholders. Prospectus: Consider the prospectus as the main marketing and information packet for company shares. The prospectus should contain information about the company and the type of share to be purchased, as well as payout schedules if it issues dividends to shareholders. There’s more information written in the prospectus and they are all important, so it’s best to give it a good read before placing an order. Secondary market: Investors who can’t spend millions or hundreds of thousands of dollars for a large number of shares in the primary market acquire shares in the secondary market. Share markets are platforms for securities and equities trading, such as the Australian Securities Exchange (ASX), National Stock Exchange of Australia (NSXA), Asia Pacific Stock Exchange (APX) and Chi-X, among others. Shares or stocks: Stocks represent an entity’s equity, and it is broken down into smaller portions with rights as shares. Shares represent part ownership of a listed company, and they usually come with voting rights for important company matters, as well as rights to dividends, though the latter is not mandatory. Share market: The share market is where shareholders, issuers and participants (i.e., brokers) come together to trade equities. Think of it like an actual market where a licensed assistant is required to negotiate, buy and sell shares for the investor. The first thing a person needs to do before buying their first set of shares is to employ a broker or open an online trading account. The second is to set up funding for the purchase. There are two types of brokers investors can consider: full service or discount. The difference between the two is how active they are in helping investors manage their investment portfolio. Once a broker is secured, they can start preparing for the actual purchase of shares. Naturally, a full-service broker will give advice and recommendations on what shares to consider, when to buy, sell or hold, and how to best maximise investment potential based on their client’s investment strategy and objectives. In return, clients pay a higher brokerage fee for every execution. Buying shares through a full service broker is fairly easy. Simply discuss which shares to purchase or pay go take the broker’s recommendations. Once the decision is final, the broker will execute the trade. Discount or non-advisory brokers, on the other hand, don’t give recommendations, which is why they usually charge smaller brokerage fees. This also applies to online trading platforms because, even though it seems that the investor buys and sells shares by themselves, the actual trade is executed by brokers. In the case of online trading platforms and discount brokers, investors can simply inform them which shares they want and how much will be invest and have it executed, then wait for a trade confirmation receipt. An alternative is to visit a bank and ask if they have a trading facility. Some banks offer zero-brokerage fees for patrons who open a trading account that is linked to their savings account. As mentioned above, investors need brokers to trade shares in the secondary market, but is it possible to do away with a broker? Some exceptions exist. An investor may directly purchase shares from a company during an IPO or float by contacting the issuing company, and paying for the shares they intend to purchase. The only catch is that investors are not assured the full volume of shares they order, so they may end up with only a portion of their intended purchase. If this happens, the company is required to issue a refund. Selling shares without a broker is not really possible unless the shareholder either own issuer-sponsored or inherited shares. One way to do this is through visitor or one-off trading facilities that facilitate the sale of shares at the market value only, which means the seller has no right to dictate their preferred sale price. Since the sale will be a one-off transaction, the facility—whether bank or online platform—usually charges a higher fee. 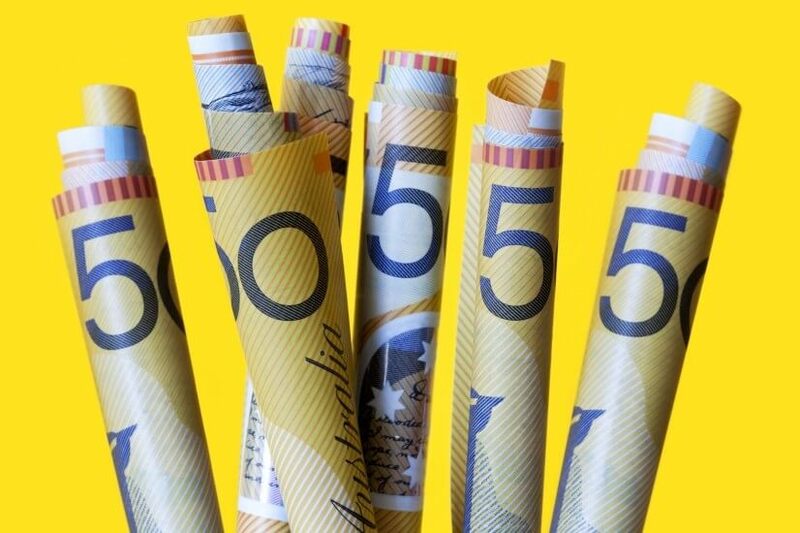 For instance, CommSec charges $66 for one-off sale transactions of shares up to $10,000 in value or 0.66 per cent for transactions greater than $10,000. For an investor with a trading account, CommSec’s brokerage fee begins at $10. When investors sell shares from their portfolio, they get money and proof of the effectiveness of their investment strategy. That is, if the investor’s strategy was effective, and they held onto shares that increased in the value, they will get more money from their investments when they sell at market value. For instance, an investor could have purchased 10 units of $1 share from a small company a decade ago for a total of $10. If the company succeeded and its share price after 10 years is at $10 per stock, the shareholder can sell all 10 units for $100 (less brokerage fees and tax). On the other hand, an investor who purchased shares in a company whose value decreased over time could sell their shares at a discount. Think of it as the reverse of the example above wherein the principal investment of $100 ends up selling for only $10. Selling shares also means the end of dividend payouts for the sold shares, which in turn, means less income stream for the investor. While historical market movement and accomplishment is by no means an indication of future performance, it is important to consider how well a company can meet its promises to shareholders. For instance, avoid buying low-price shares in a company promising huge dividends when it failed to regularly pay shareholders in the past—unless the decision was announced and there was a valid reason for it. Shares have the tendency to benefit and suffer from the stock market’s volatility, so it is really important to choose investments wisely. This information has been sourced from ASIC's Moneysmart, ASX and CommSec.